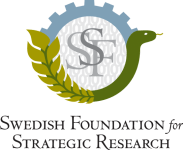 The Swedish Foundation for Strategic Research, SSF, is an independent research funding body whose purpose is to support research in the natural sciences, engineering, and medicine. The Foundation promotes the development of strong research settings of significance for the development of Sweden’s long-term competitiveness. This is done primarily by means of focused efforts, such as funding of a research project over a number of years, and large individual contributions to leading researchers, with an emphasis on the younger ones. The Foundation was founded in 1994 with capital taken from the former wage-earner funds. The founding capital was SEK 6 billion. Thanks to good asset management and favorable stock market performance, the Foundation has been able to distribute approximately SEK 12 billion to Swedish research since the start while increasing its capital to almost SEK 11 billion (March 2015).